Easter is just around the corner, do you know what you are making for dinner yet? Why not impress your family and friends with something a little different than the traditional Easter dinner fare? Check out these 20 totally unique Easter dinner ideas. This twist on a traditional lamb roast will surprise and please all your guests with its cheesy spinach-artichoke rice stuffing. You can find the Delish recipe here. If you want to try a less meaty heavy Easter meal, add this Lemony Asparagus Pasta to the menu. It works great as a main vegetarian dish or even a side dish. You can find the Delish recipe here. It is asparagus season so why not enjoy it as much as possible. Spring Asparagus and Mushroom Papardelle is another great vegetarian option to wow your guests with this Easter. You can find the Delish recipe here. A Chicken meal for Easter will give everyone a break from all that ham, but you don’t want to serve any old chicken dish. Make this Boursin-Stuffed Chicken wrapped in prosciutto and your guests will be talking about it for years to come. You can find the Delish recipe here. If your family prefers Italian dishes, who says you have to stick to ham or lamb for Easter dinner. Everyone will appreciate the change of pace with this Roasted Asparagus Carbonara. You can never go wrong with pasta. Find the Delish recipe here. Seafood is also a delicious alternative for unique Easter dinner ideas. Pair some shrimp scampi with some pasta for this sure to please dish. This Shrimp Scampi Risotto recipe comes from Delish. You can find the recipe here. If you have a family of steak lovers, then treat them to these Spinach-and-Artichoke Steak Roll-Ups. This unique take on a steak dinner will sure to be a hit. You can find the recipe here. These pretzel rolls are a unique take on the typical rolls and bread served at Easter dinner. Your kids will especially love this tasty treat. You can find the recipe here. For a fun side dish, put a twist on the typical deviled eggs by turning them into a delicious potato salad. This Deviled Egg Potato Salad is the perfect combination of two Easter classics. You can find this Country Living Magazine recipe here. Take a page out of the Easter Bunny’s book and serve special eggs for dessert. These Cheesecake Eggs will be a favorite for both old and young alike. You can find the Delish recipe here. If you like having ham on Easter, but want to spice things up a little, serve this Bourbon Orange Glazed Ham instead. It will be just the right combination of comfort food and something new. You can find The Chunky Chef recipe here. Soup lovers won’t be able to get enough of this French Onion Soup Roasted Pork Tenderloin dish. The pork will have some extra zing that will make everyone’s taste buds rave. You can find the Lydi Out Loud recipe here. 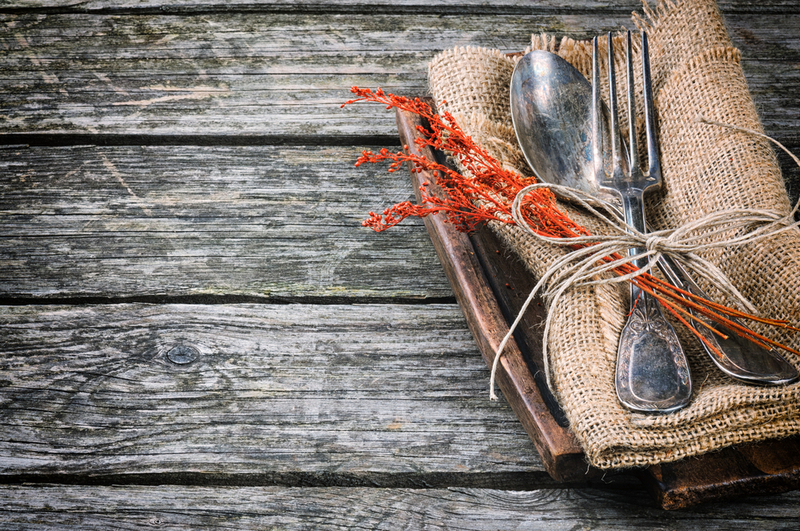 Do you really want to impress your guests with a sophisticated meal? Then you can’t go wrong with this Easy Beef Wellington with Mushroom & Jamón dinner. You can find the Happy Foods Tube recipe here. Another elegant seafood dish to serve is this Cedar Plank Harissa Smoked Salmon. Your taste buds will rejoice with all the smoky flavors. You can find the Taste and See recipe here. For a sweet take on a popular vegetable side, try these Apricot-Glazed Green Beans. The sweet apricot jam and smoky bacon will transform plain old green beans into a special treat. You can find the Woman’s Day recipe here. 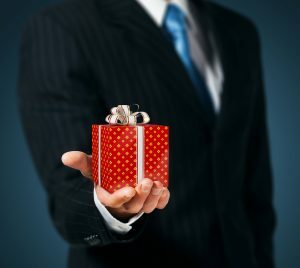 Want to really surprise your family and friends this Easter? Serve breakfast for dinner with this Deep-Dish Bacon and Leek Quiche. You can find the Country Living recipe here. For a more informal and relaxed Easter dinner, these Ham Biscuits would be perfect. They’d also make a great snack to hold people over until the big meal of the day. You can find the Woman’s Day recipe here. How about an edible wreath to celebrate spring with? This Merengue Wreath is chockful of fresh fruit and cream and decorated with floral petals for a dessert that looks and tastes delicious. You can find the Woman’s Day recipe here. All the kids at your Easter dinner will love this Edible Easter Egg Tart. It is easy to make, just an egg-shaped fruit tart with a cream cheese and sugar cookie base, and is surprisingly low on calories. You can find the Woman’s Day recipe here. Probably the most unique thing you can do for Easter dinner though is to do very little cooking at all. Who says you have to spend all your time in the kitchen preparing everything? 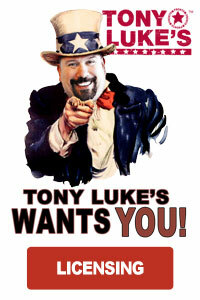 Why not serve Tony Luke’s cheesesteaks for dinner and just enjoy bring with your family and friends? 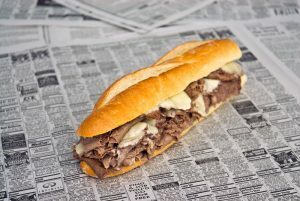 Tony Luke’s, considered one of the top cheesesteak shops in Philadelphia, is now offering frozen cheesesteaks that can be delivered to you in the mail. 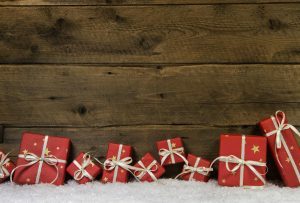 Tony Luke’s Cheesesteaks are also one of the top online gifts. 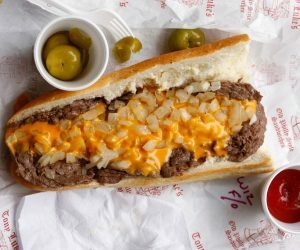 Tony Luke’s has spent a lot of research and development time to perfect its new technology that allows them to prepare the cheesesteaks fresh before freezing so you get the same great taste when making Philly cheesesteaks at home that you would at the restaurant. Tony Luke’s only uses 100% Rib Eye for the steaks and they only buy beef that has no fillers, antibiotics or steroids. The bread is also genuine Philly bread, hand spun and baked in Philadelphia.